for $118,900 with 3 bedrooms and 2 full baths. 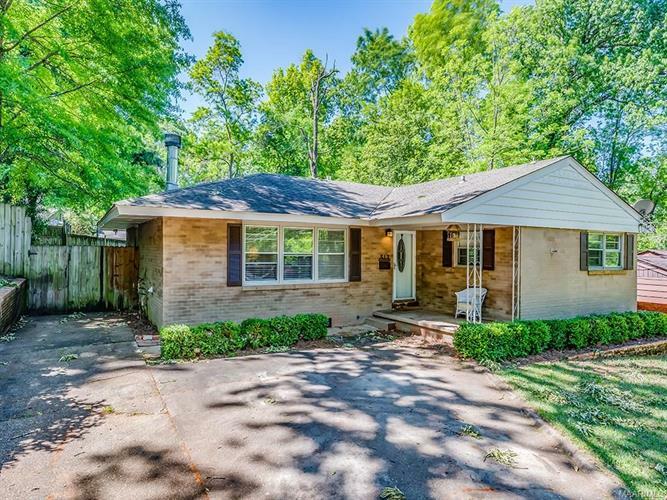 This 1,485 square foot home was built in 1956 on a lot size of 65 X 130. Open House Sunday May 5 from 2-4 p.m. Remodeled and well maintained home in Forest Hills! Mortar washed brick, large covered front porch and larger back patio. Recently painted light gray interior. Beautiful original wood floors in the living room, hall and bedrooms. Living room features a brick, wood burning fireplace, shelves on both sides of fireplace, 2 lighted ceiling fans and 3 big windows for lots of light! Molding throughout common areas. Neutral kitchen features beautiful oak cabinets, 3 seat breakfast bar, and huge breakfast room area, big enough for china cabinets or a second den! Pantry and refrigerator surround cabinet. Separate mud room and laundry off kitchen. Main bath remodeled with new tile walk in shower and tile floors. Spacious bedrooms with double closets in the guest bedrooms and 2 double closets in the main bedroom. Large back yard and additional storage unit. Put this home on your must see list!